This unique tour lets you experience Manila as the locals do. You’ll take various forms of local transportation, just as Manila’s residents do every day, including a colorful jeepney, a train, a three-wheeled motorbike, and a ferry. These can be hard to navigate if you don’t already know the routes, so your guide will make it easy. 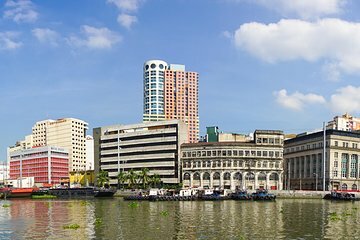 On the way, visit many of Manila’s must-see sights, and taste some local food.